The Board of County Commissioners plans to create a taxing district to raise $1.8 million annually to help Fishermen’s Community Hospital, in Marathon, defray the costs of indigent health care – but not everyone is entirely onboard with the idea. Residents in the proposed taxing district – which would stretch from mile marker 40 to mile marker 65 – have raised concerns about a lack of transparency throughout the rapid approval process, as well as the lack of documentation demonstrating an actual need for the taxing district. But at the heart of the issue is frustration that an ordinance, designed to fund a single private company from the pockets of taxpayers, is being pushed through the government cogs without a voter referendum. “We just want to know where our money is going and we deserve a vote, instead they are shoving it through,” said Alice Anderson, a resident of Marathon. Fishermen’s Hospital closed its doors after Hurricane Irma, and supporters of the taxing district point out the urgent need for a hospital in the Middle Keys. The two other hospitals in the Florida Keys, Mariner’s Hospital (also owned by Baptist Health South Florida) and Lower Keys Medical Center are about a one-hour drive from Marathon. At the Fishermen’s Hospital site, a temporary mash unit is currently operating out of shipping containers in order to provide some medical services. “No one likes to raise taxes. However, our community understands the great importance of having this hospital remain in our community. We also understand that the commitment from Baptist Hospital into investing in our community needs to see our equal commitment,” said Michelle Coldiron, the Mayor of Marathon, on behalf of the Marathon City Council. The County will vote July 18th on an ordinance creating a Municipal Service Taxing Unit (MSTU) between mile marker 40 and 65 to collect ad valorem taxes of one-half of one mill (0.00050) on assessed value on properties in the MSTU. The tax would be based on property value (as values rise, so does the tax). A property currently assessed at $300,000 would see a tax increase of $150 (50 cents on every $1000 of property value). However, we spoke to several property owners who said the tax would cost them close to $2,000 a year. The MSTU tax would have to be approved annually by the Commission. According to documents provided by the County, based on current property values in the proposed taxing district, the total annual tax will amount to more than $1.8 million. The taxes would be used to help “bail out” Fishermen’s Hospital (owned by Baptist Health South) which says it has been facing a negative cash flow since taking over Fishermen’s in July 2017, in large part due to rising indigent health care costs. If operating losses were reduced, they argue, they could then redirect those funds for the construction of a new hospital. So, what is the purpose of the MSTU and how did it come to be? The concept of the creation of a special MSTU first cropped up on the public radar at the Marathon City Council meeting on April 10, 2018. The Marathon City Council agreed to draft a resolution supporting the County’s creation of a new taxing district to provide funding for infrastructure and construction of a new Fishermen’s Community Hospital. That resolution was approved April 24 and can be viewed here. Two days later, the City of Key Colony Beach also passed a resolution for the taxing district, again, to help financially support the construction of a new hospital. That resolution can be viewed here. 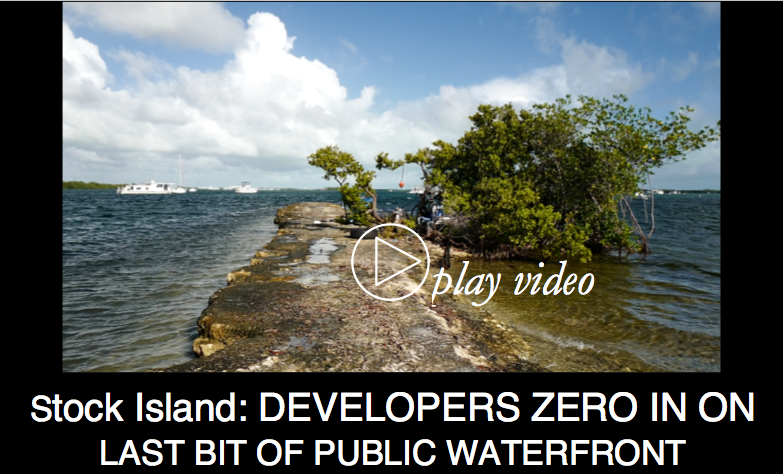 But according to an article published by Keys Weekly on April 12, grassroots efforts to privately fund the construction of the hospital had already begun through invite-only events that had generated pledges totaling $4 million. The video does not show the interior of the hospital but mentions that, prior to Hurricane Irma, the hospital had been evaluated showing it required a new roof and medical equipment, since much of it was outdated. The costs for necessary repairs and upgrades was estimated at $25 million. After Irma further damaged the hospital’s roof, the idea to improve the existing building was scrapped in lieu of constructing a new hospital at a cost of $40 million. Of that, Baptist South would pony up $25 million, but the corporation wanted the remaining $15 million to be furnished by the community. At the May 16, 2018 County Commission meeting, the focus shifted from constructing a new hospital to paying for indigent health care. So why the shift from construction to health care for indigents? It comes down to taxpayer voting rights and Florida law about issuing bonds. 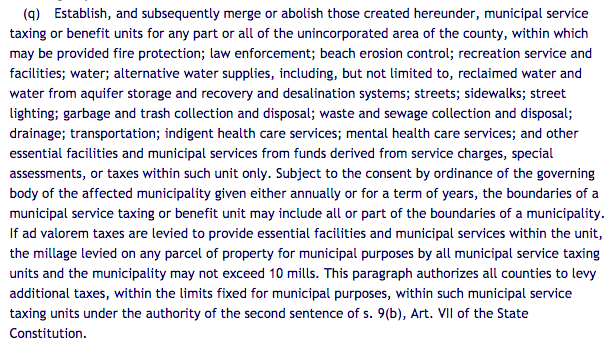 (You can see the Florida Constitution about issuing bonds here, and the Florida Statute identifying “indigent health care” as a legitimate use for tax funding here). In short: taxing residents for “indigent health care” doesn’t require a voter referendum whereas doing so for “bricks and mortar” for construction does. A. Decide that ad valorem taxes will be used only to defray indigent health care costs and no referendum is required. B. Decide that ad valorem taxes will be used only to defray indigent health care costs, but elect to hold a non-binding referendum. C. Decide to make a multi-year pledge of ad valorem taxes to finance capital construction. If ad valorem taxes will be used as a pledge of greater than 12 months to finance capital rebuilding of the hospital, then a bond referendum must be held. D. Choose not to go forward with creation of the MSTU or collection of the taxes. During the June 20th meeting, it was acknowledged that the Commission, “already had the support of the City of Marathon and Key Colony Beach.” However, at that time, the resolutions of support provided by those municipalities both specified that taxes would be raised for “construction of the hospital” – not for “indigent health care”. 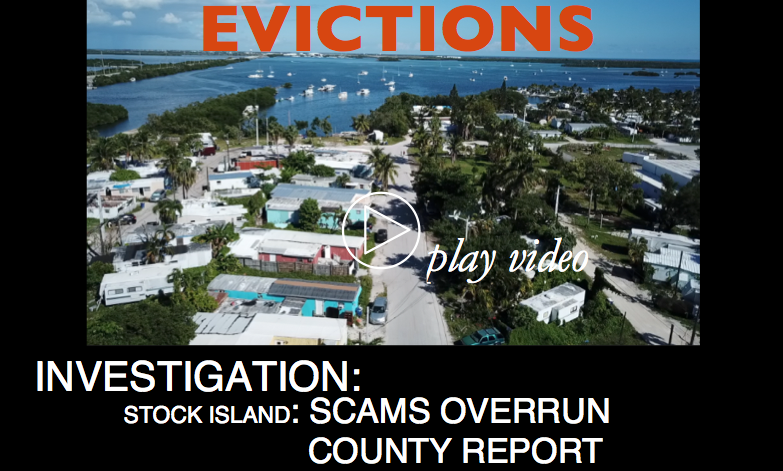 “Other than a group of about 20 people on Duck Key, I have heard no one not in support of us doing what we talked about doing,” said County Mayor David Rice at the June meeting. Rice also said that he believes a referendum would pass “overwhelmingly” but would cost time. (It would be slated to be on the August 28 ballot). The County Commission’s July 18th meeting will be the next phase of creation of the MSTU: Formal approval of the MSTU ordinance. The time set [approximate] for the agenda item is 3:00 pm at the Marathon Government Center. Are the Indigent Health Care Losses that Baptist Health is Claiming Accurate? Who Knows. The losses Baptist Health is claiming are vague. They do not specify the amount of “indigent health care” costs/losses specifically (the statutory public purpose for the MSTU), but rather “total operating losses” estimated at $1 million/month. There is no mention of how much the company is being reimbursed from Medicaid/Medicare for indigent care. At the May 16, 2018 hearing – Rick Freeburg, the CEO of Fishermen’s quotes the operating costs as “around the neighborhood of one million a year.” A few minutes later he states that “losing a million dollars a month is a significant amount for any business.” At which point Mayor Rice interjects, “Let me clarify something. I think you misquoted earlier. You said a million dollars a year, actually, it’s a month and now you’ve said both.” While it can be assumed that Freeburg simply misspoke, it shines a spot light on the issue. The Blue Paper reached out to all five County Commission members last week asking if the losses that Baptist Health was claiming had been independently verified by Monroe County. We heard back from just two Commission members. Commissioner Sylvia Murphy stated that she did not have that information, but referred us to the Assistant County Attorney, Cynthia Hall. “The County doesn’t have that information on the hospital. You would need to contact Baptist Hospital directly. 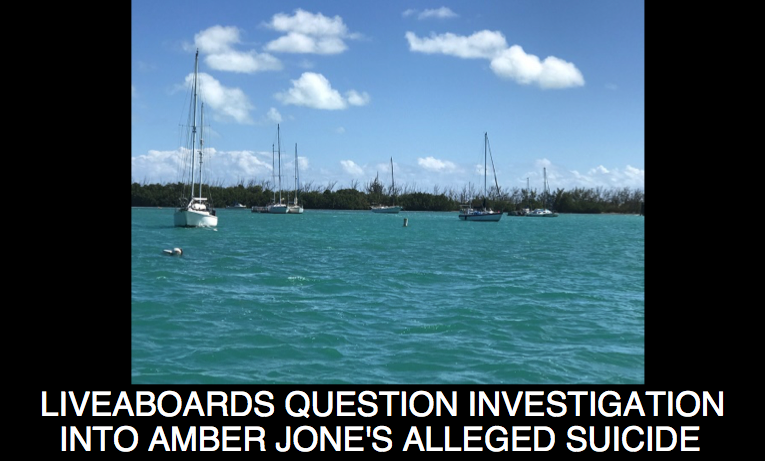 The County has not verified any of their financial statements,” wrote Tamara Lamarche, Executive Assistant to Mayor Rice, in response to our question. Baptist South has not been required by County officials to present any actual documentation as to the costs of indigent health care at Fishermen’s Hospital prior to deciding to create a tax of 1.8 million a year to help the company offset indigent care losses. Apparently, the only shred of financial information that has been furnished is a one-page summary prepared by Baptist South for Roman Gastesi, the County Administrator, stating how much the company had spent acquiring the hospital, and what their approximate operating losses have been since taking over July 1, 2017: Around 4 million through September 2017 and 5.5 million for October through February 2018. There is no detailed accounting showing what those numbers include. “Common sense would say that when you are forcing a tax increase, don’t you think you should look at the financials – especially when your back isn’t against a wall. 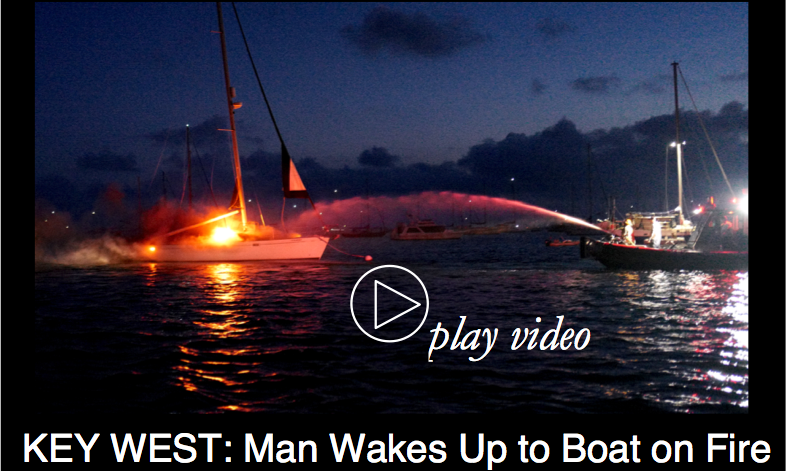 There was no hurry,” said Duck Key resident, Ronna Martino. 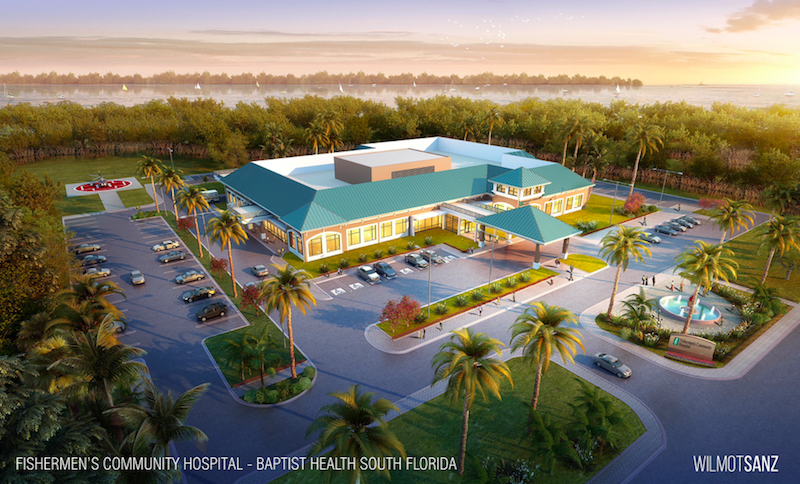 Does Baptist Health South Florida Need the Money? According to its 2016/2017 financial report, Baptist Health South Florida’s net assets for 2017 clocked in at more than $3.4 billion with “excess revenues over expenses” of $244 Million. Jay Hershoff, Chairman of the Mariners and Fishermen’s Hospital Foundations, spoke at the June meeting about the numbers, and stated that prior to taking over, Baptist gave Fishermen’s $3 million to keep the doors open, paid the mortgage of around $6 million, and paid $4 million so that vendors could be paid off – a total of around $13 million. 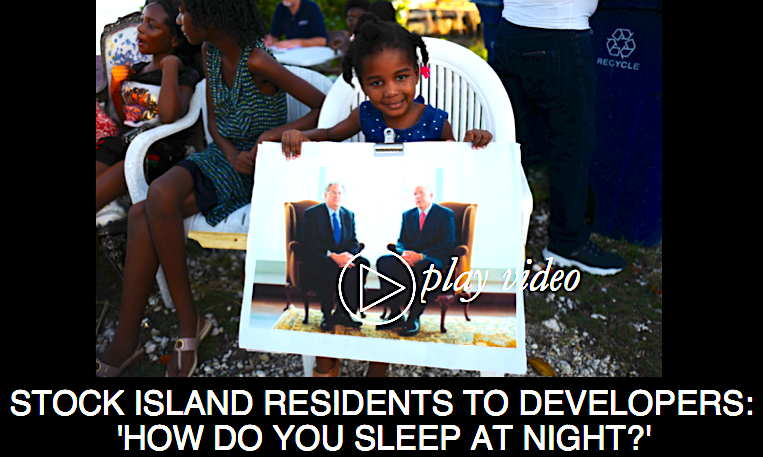 But some residents continue to question the company’s actual need. “Baptist has 3 billion dollars in reserves,” said Philip Kircher of Duck Key. “This is what reserves are for. I don’t understand why they have to take our taxes. Nobody bailed me out [after the hurricane], but now here I am having to help bail out a 3-billion-dollar company who knew what they were getting into when they took over the hospital,” Kircher added. In addition, in order for Baptist to maintain their 501(c)(3) status, they must care for the poor and uninsured in their Emergency facilities and they must report this to the IRS. The tax-exempt status represents over $150 million in tax savings yearly. (How Baptist Health Benefits from Tax Exemption, Miami Herald, Dec. 6, 2015). Is the purpose of the MSTU community support for “indigent health care” (as the MSTU law specifically allows)? The City of Key Colony Beach passed an ordinance (at first hearing on July 12th) that specifies taxes raised from the MSTU would be used for “indigent health care”. Interestingly, the County’s present proposed ordinance, expected to be approved by the Board on Wednesday, does not. In fact, that language has been altered from the June original draft version (view here). Why? The inclusion of “a patient who is unable to pay full costs,” but not specifically “indigents” is a slight, but distinct, difference and another example of how the official act seems to differ from the narrative promoting the establishment of the taxing district. The National Institutes of Health states that a large percentage of emergency room visits are not actually “urgent,” and according to the Health Care Cost Institute, the average price of an outpatient emergency room visit increased by 31 percent from 2012 to 2016, to $1,917. In comparison, an urgent care visit in a non hospital setting averages around $150. If the issue is that the Middle Keys have a large number of indigents in need of health care, increasing losses to providers, then why should the ordinance limit the use of MSTU funds to “hospitals” and not include all “urgent care” providers willing to serve the indigent? 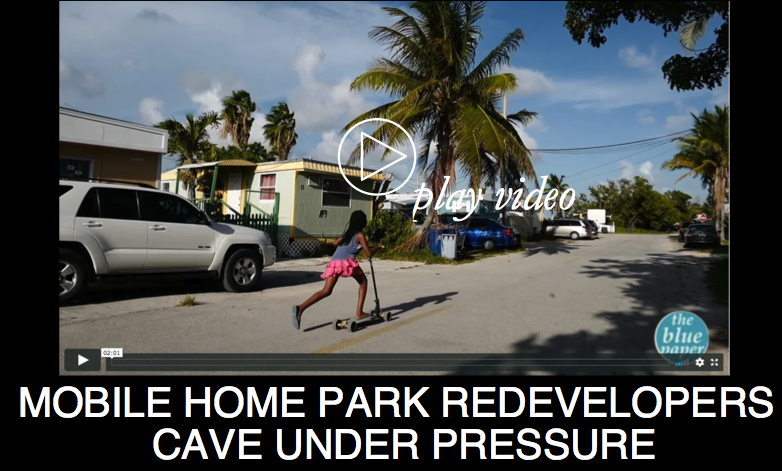 For many Middle Keys residents, the quick and evolving process that will burden them with a new tax is troublesome. You can find more of our coverage of the Fishermen’s Hospital tax by clicking HERE. A superbly researched, balanced an articulate report! Thank you! Another good article that you will not see in the printed media! It is always about the money, and how to transfer it from our pockets to the pockets of others. Why does the tax district start at mm 40? It is about equal miles from about mm 25 to Marathon or Key West. 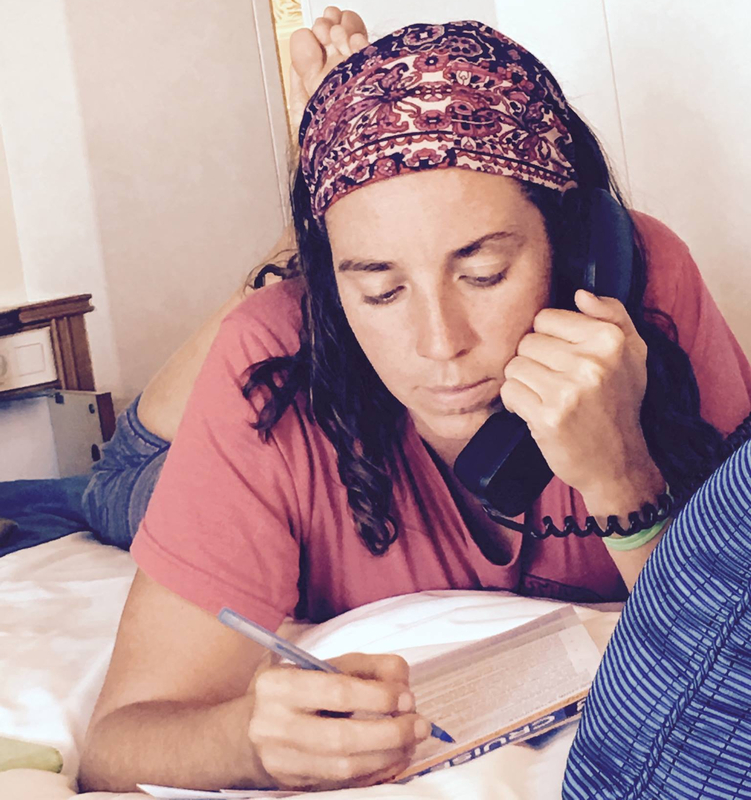 A friend in Ramrod was offered her choice of destination by the ambulance from Big Pine that collected her. Then they sat in the road for about a half hour going through her purse to see who would be paying for the ambulance ride…. while her brain was bleeding. They thought she had a back injury causing paralysis. They thought wrong. She next had a Trauma Star ride to Kendall. That is your tax dollars at work. How about we just have single payer national health care instead of funding health care through private health care plans, Medicare, Medicare substitutes, VA, Medicaid, Obamacare, indigent/uninsured compensations, our car insurance, Workers Comp, house insurance, and others? Imagine the staff required to manage all the payment sources and the arguments about who pays when there is an injury. Is there not already a hospital tax on our bills? If unreimbursed “indigent care” does not run to $1.8 million, where does the excess go? It seems to me that the Infrastructure Sales Tax that was supposed to fund sewers (but didn’t very well) would be better spent on bricks for a private hospital than on DOT bridge improvements to provide better access to Pigeon Key. Both expenditures are inappropriate, but far more people benefit from a local hospital than from from a “bridge to nowhere”.